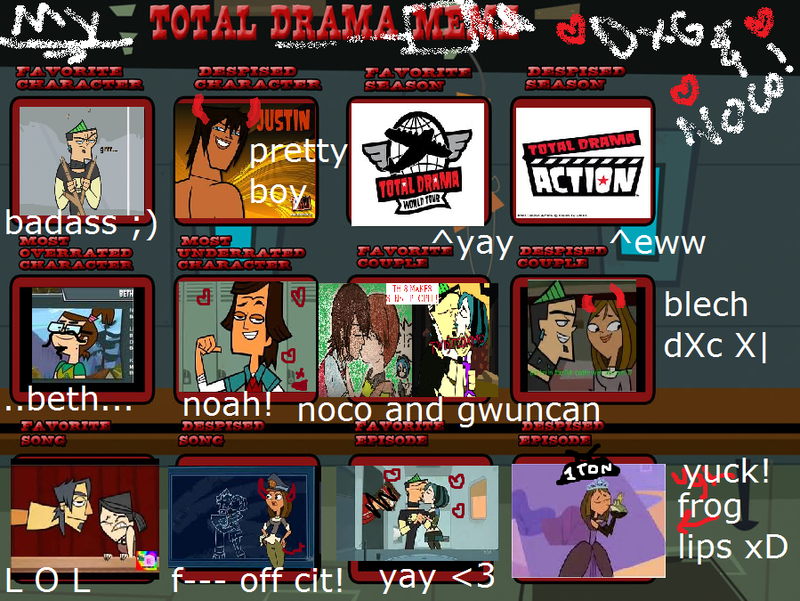 XD MY TOTAL DRAMA MEME!!!!!!!!!. behold my opinions! annnd i added a few personal 'touches' xD. 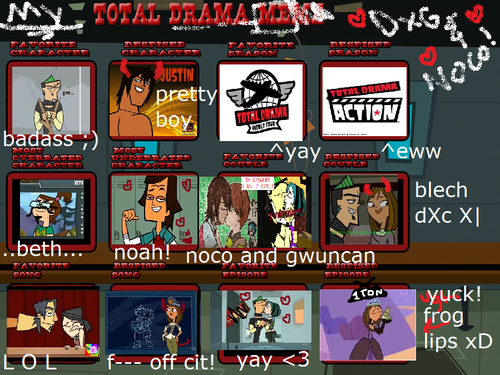 HD Wallpaper and background images in the Total Drama Island club tagged: total drama island total drama world tour total drama action lol gwen duncan meme drama.